Donald Trump attacked presidential race rivals from both parties Sunday, calling Ted Cruz a “maniac” and saying Hillary Clinton has “killed hundreds of thousands” with her policies as secretary of state. Trump, the front-runner in national polls for the Republican 2016 nomination, targeted the Democratic Party’s leading candidate in the same interview with host Chris Wallace. Wallace had tried to discuss Trump’s high unfavorable ratings among women, black and Hispanic voters in a recent poll, but the billionaire businessman cut him off. Representatives of Cruz and Clinton’s campaigns yesterday did not respond to requests for comment on Trump’s criticisms. Cruz, however, on Sunday tweeted a Fox News poll that showed the Texan lawmaker leading by 7 percentage points over Trump for the GOP nod among likely caucusgoers in early-voting Iowa. 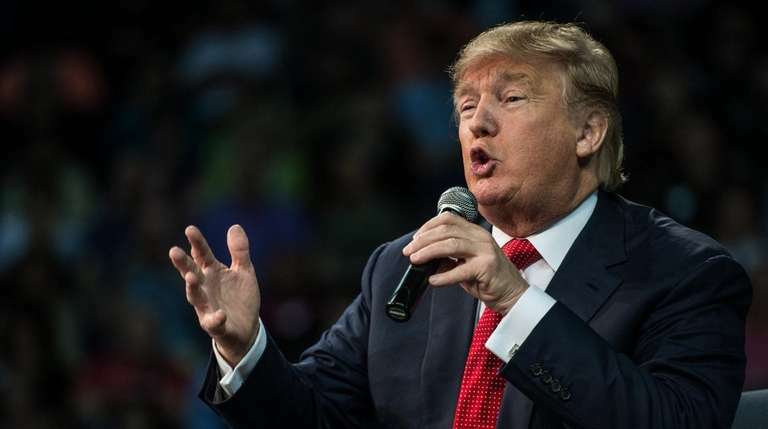 A Des Moines Register poll released Saturday showed Cruz ahead of Trump by 10 points in Iowa.